Relaxation treatment with the theme of mindfulness, or feeling your mind exactly as it is, centered around the aroma of sandalwood. Conditioning incorporating spiritual elements which you will be extremely relieved after. A deep half-sleep caused by strokes like waves. A temptation to fall into slumber. A deep sense of relief through the elimination of stress. 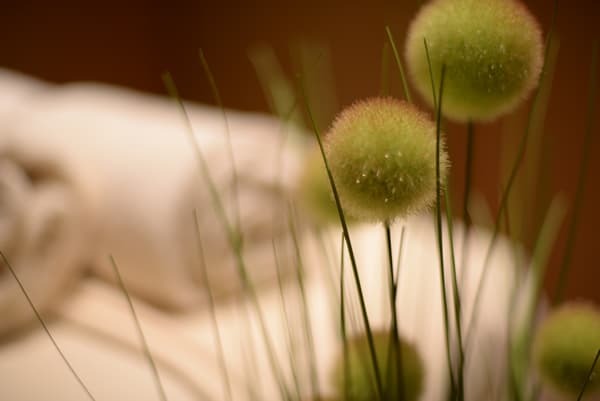 All practitioners providing treatment are trained by and have qualifications from the Esalen Institute in the US. They will counsel and help you with selecting your own aroma concept (essential oil) for your treatment. 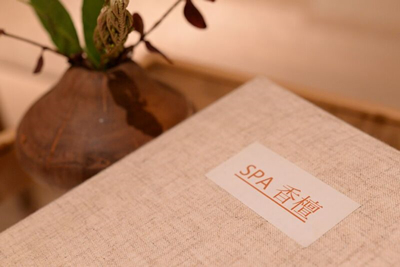 The SPA Koudan treatment is based on the meditative oil treatment which acts on the entire body in gentle waves called Esalen® Massage which was cultivated through research into spirituality and environment at the esteemed Esalen Institute, established in 1962 in California in the US. It lets you feel the connection between "mind, body and spirit", and feel your body's innate calm rhythms. 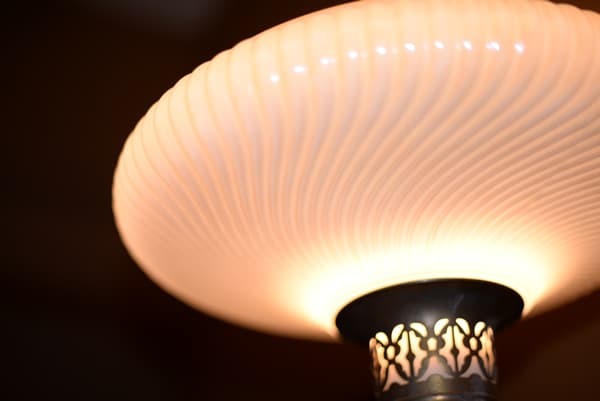 Using long strokes like restless waves, it deepens your breathing, loosens tension in your muscles, and through its application of gentle pressure, your body is lead into a deep state of relaxation as if in a half-asleep dream state. As your body relaxes, you will do stretches and deep work to match your deep breathing, and your awareness toward the outside world in your daily life will be non-aggressively led into the internal world, giving you a deep sensation of awareness and helping remove stress from within. 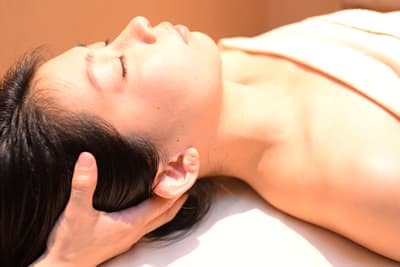 Esalen® Massage is called the "ultimate relaxation massage" in Europe and the US, and it has received high praise as a treatment promoting "awareness" of mind and body using its unprecedented techniques. 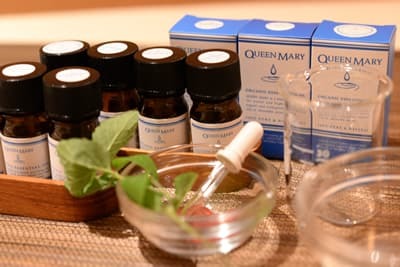 In SPA Koudan's treatment, we have also incorporated high quality essential oil aroma therapy to further increase the effect of Esalen@Massage. Sandalwood has been beloved by people from around the world since long ago for the precious aroma of the trees which clams the mind and body. 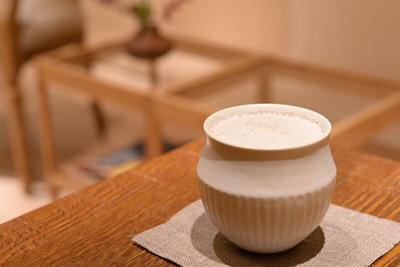 In addition to relaxing the mind and body, this deeply meditative aroma can increase immunity, provide antibacterial purification, and relieve bodily pains. The base oil used in treatments is jojoba oil, which can be used with peace of mind even by those with oily skin, dry skin, or sensitive skin. During the pre-session counseling you will be able to choose your preferred essential oils to add to the base oil based on a concept of your choosing. Your therapist will use the treatment session to relieve the stress of your daily life and help you appreciate the comfort of mindfulness. Please try this special treatment which is not possible anywhere else. 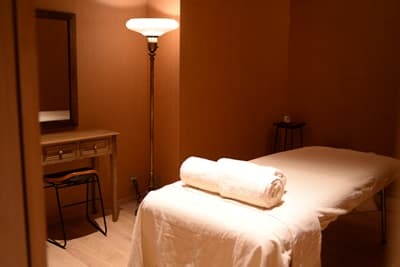 Esalen® Massage, Created in the US. It is Conducted at the Esalen Research Center which is Celebrated for Mindfulness. 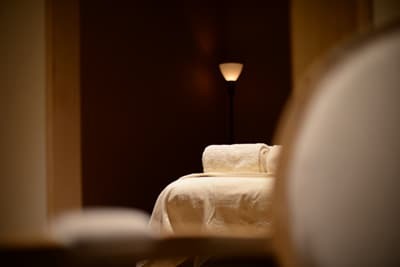 It is the Ultimate Body Relaxation Treatment. Please try it with a Koudan SPA original blend of oil based on sandalwood which will unify your mind, body, and soul. During your meditative relaxation, the gentle, gradual approach going deeper into your body will work to relieve tension and stiffness without force, supporting stress relief. This unique slow rhythm is guaranteed to produce a special session which lets you experience the "here" and "now" in a way that is not possible elsewhere. Our recommendation is the standard 100 minute course or longer. We recommend 75 minutes for those who wish to gently relax and refresh themselves. With the 120 minute course your therapist will be able to respond to your individual requests and create a once-in-a-lifetime session that only exists in the "now", using all of the techniques of Esalen® Massage including an adjustment and balance of the flow of "chi", a deep approach to inner parts of the body, and dynamic stretching. 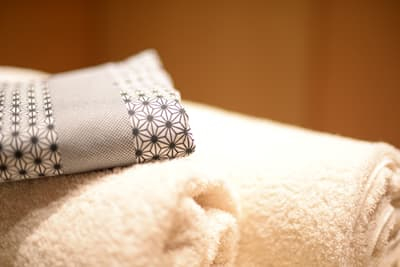 This is recommended for those who experience particular stiffness or full-body fatigue, or those who want to ultimate relaxation for their mind and body. ＊With the clothed course, oil will not be used and instead the same full-body approach will be used with many techniques such as locking and compression. This is recommended for those who are not fond of oil. 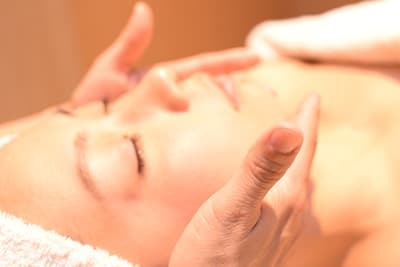 Far from being a Simple Beauty Treatment, this Facial Relaxation is Designed to Relieve Stress. An approach to Facial Treatment which takes into Account Spiritual Calmness and Stability. In this treatment we provide an oil blend with a coconut oil base with the finest anti-aging agents, rose otto and neroli, added. We use high-quality natural cosmetics, mainly organic skin-care cosmetics. Our lotion and cream created from the blessings of nature have sublime aromas and we believe you will enjoy the feeling of them being rubbed deeply into your skin. 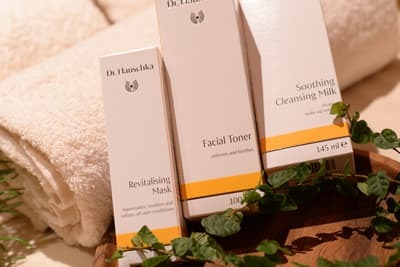 Facials relaxation treatment is clearly different from esthetics. The slow strokes of an oil massage draw out the beauty from within. 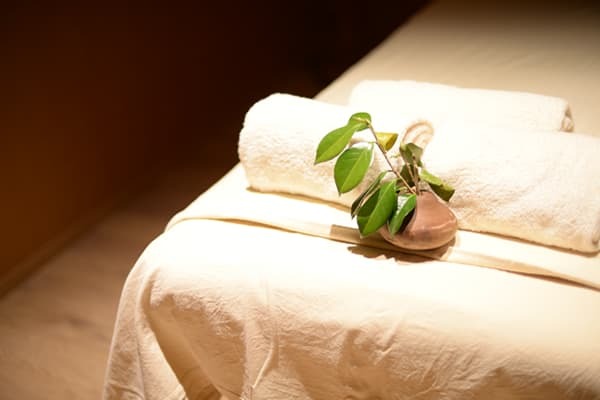 The session flow starts with cleansing and then oil massage, and packing to finish. The oil massage includes a well-rounded approach to the neck and shoulders which are prone to stiffness, the neckline, and also the scalp. It is also followed-up with gentle stretches and locking for the lower back, which is prone to fatigue due to being in a supine position for a long time. Because they are practitioners of body work, they can provide your entire body with a sense of satisfaction. ＊Because we use natural non-irritating cosmetics, if you are using point makeup or other special cosmetics in some cases they cannot be removed with cleansing. If you are concerned or have your own personal makeup cleanser, please do a simple cleansing before coming. Facial and Body Combinations allow you to easily Receive Total Relaxation. With body treatment as the basis, these combination plans will also include facials, scalp treatments, etc. which are often requested by customers. The combination is 90 minutes body, 60 minutes facial, and 30 minutes scalp. 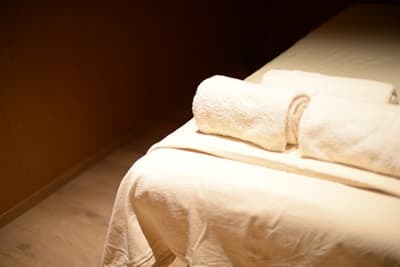 (In the 100 minute course it is 50 minutes body and 50 minutes facial.) All the luxurious courses cover your entire body from head to toe. Please take this opportunity to try having a dialog between your mind and body as you enjoy some relaxation time. This course is good as a gift for someone or for special occasions. A combination with 45 minutes scalp and 55 minutes feet and legs. This approach focuses on the fatigue that builds up in the back and the soles of the feet where fatigue can build up, using deep forearm work. A foot-care gel is used for toes and the soles of the feet. Also, by using a warmed eye pillow the area around your eyes is loosened reliving tension in your neck and head, while scalp work further promotes relaxation. The scalp care uses a gel blended with essential oils with hair vitalization effects, leaving you nicely refreshed. This course uses oil from the lower back and below, the arms, the neck, and the shoulders. We can also accommodate requests not to use oil, so please tell us at the time of your reservation. Please use it for Combinations or when Time is Limited. Arms, shoulders, upper chest, neck, and scalp. Upper body course. It uses a scalp gel formulated with aroe components and a blend of several essential oils which promise wellness promotion for the scalp and hair. You can enjoy a smooth and refreshing feeling with no negative impact on your scalp or hair. It adds deep work around the scapula, shoulders, and neck which are especially prone to fatigue as well as stretching to relieve stiffness deep inside. This session is done with clothes on and can be performed with only the sleeves pulled back and the shoulders bared minimally. This session is done facing downward and in a supine position, covering your lower back to the tips of your toes. To cause your body to remember that "the legs grow out from the lower back", the approach includes repeated strokes from your lower back to your buttocks and down your legs, along with a deep approach to your calf and thigh muscles. It is recommended for fatigue and tension in the legs. It can be done with your clothes on.